On December 25, 2004, the piggybacking Huygens probe was released from the ‘mothership’ Cassini spacecraft and it arrived at Titan on January 14, 2005. The probe began transmitting data to Cassini four minutes into its descent through Titan’s murky atmosphere, snapping photos and taking data all the while. Then it touched down, the first time a probe had landed on an extraterrestrial world in the outer Solar System. JPL has released a re-mix of the data and images gathered by Huygens 12 years ago in a beautiful new video. 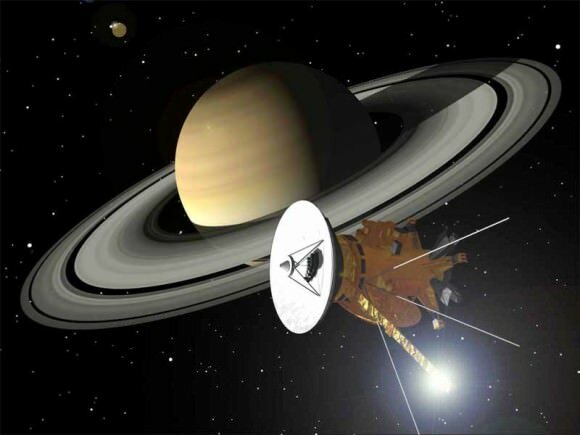 This is the last opportunity to celebrate the success of Huygens before Cassini ends its mission in September of 2017. Watch as the incredible view of Titan’s surface comes into view, with mountains, a system of river channels and a possible lakebed. How much of this video is actual images and data vs computer graphics? Of course, the clips at the beginning and end of the video are obviously animations of the probe and orbiter. However, the slow descending 1st-person point-of-view video is made using actual images from Huygens. But Huygens did not take a continuous movie sequence, so a lot of work was done by the team that operated Huygens’ optical imager, the Descent Imager/Spectral Radiometer (DISR), to enhance, colorize, and re-project the images into a variety of formats. 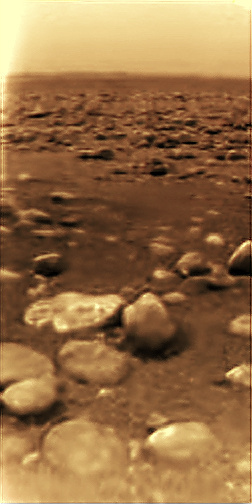 The view of the cobblestones and the parachute shadow near the end of the video is also created from real landing data, but was made in a different way from the rest of the descent video, because Huygens’ cameras did not actually image the parachute shadow. However, the upward looking infrared spectrometer took a measurement of the sky every couple of seconds, recording a darkening and then brightening to the unobstructed sky. The DISR team calculated from this the accurate speed and direction of the parachute, and of its shadow to create a very realistic video based on the data. of DISR is shown in less than five minutes in 40 times actual sped up to landing and 100 times actual speed thereafter. Sound was added to mark various events. The left speaker follows the motion of Huygens. The pitch of the tone indicates the rotational speed. Vibrato indicates vibration of the parachute. Little clicks indicate the clocking of the rotation counter. Noise corresponds to heating of the heat shield, to parachute deployments, to the heat shield release, to the jettison of the DISR cover, and to touch down. The sound in the right speaker follows DISR data. The pitch of the continuous tone goes with the signal strength. The 13 different chime tones indicate activity of the 13 components of DISR. The counters at the top and bottom of the list get the high and low notes, respectively. 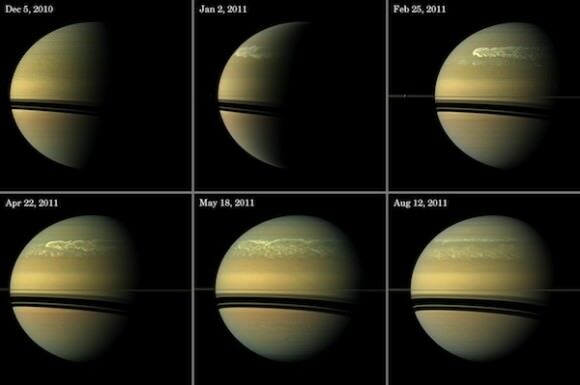 You can see more info and videos created from Huygens’ data here. Read some reminiscences about Huygens from some of the Cassini team here.